Great location, great value off season, affordable dinner menu with good food. we had a lovely, big room with a beautiful view. the value you get for your money is excellent. 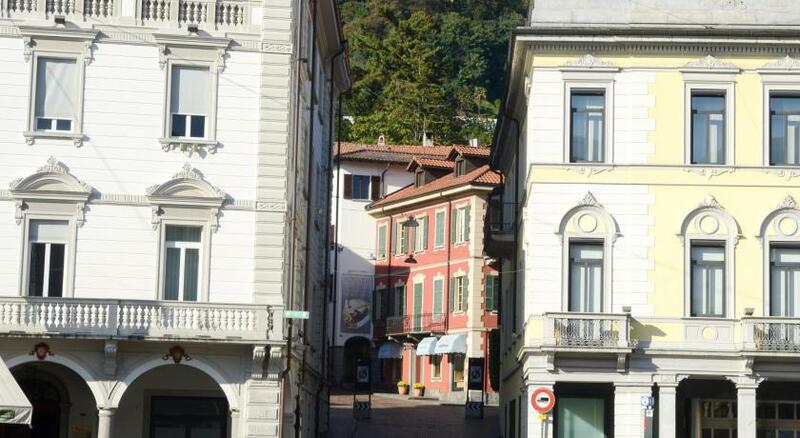 It is in the main square of Locarno. Piazza Grande The room had a safe. Independent entrance from the hotel. Location is all about it. But also the clean room and toilets. The comfi hard matress. Toilets were clean and available all the time I needed. Room is small but kind of nice. It felt good. The breakfast was good enough to my likings: bread jam ham cheeses cereals egg juIces tea cofee + . The ladies at reception were nice. Very quiet and centrally located (10 min footwalk to the train station). Clean and comfy bed. Shared but with a bathtub. I got single room instead of dorm bed. Room was small but clean, so were the bathrooms.Location is very good, right in the main square and walking distance from train station. The best price for what you get in Locarno. And Ticino ticket saves you a lot of money! Although a rainy November is normally not the best time to visit Ticino, I had a great time in my little room with a small balcony, a hot shower in the morning in a separate bathroom, a good coffee for breakfast with Birchermuesli followed by some ham on a roll, and don't forget the Ticino Ticket which enables free public transport in the whole of Ticino, in 4 days I managed Fusio and Lago di Sambuco, Lago di Maggiore(obviously), Lugano and its lake and even Como and Lago di Como. A trip to Ponte Tresa and its Italian Market as a bonus. The bus stop to Valle Maggia is less than 100m, the train station in easy walking distance. Highly recommended! Great room in the centre of Locarno in the old house. Nice balcony. EasyRooms is directly beside the Dell’Angelo Hotel. 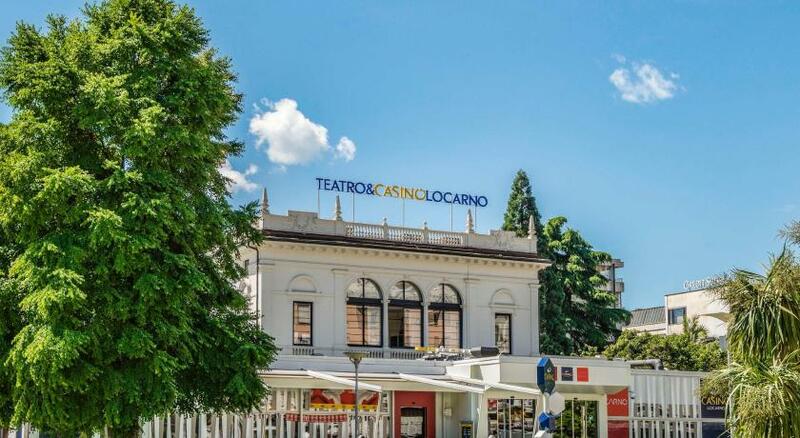 The historic building is located in the center of town, in the most important area of Locarno, Piazza Grande, just a few minutes from the station and the lake. The rooms have satellite TV, radio, telephone, hairdryer and some of these also have a balcony. The bathroom/WC/shower is shared with other rooms. Single, double rooms, rooms with three and four beds are available. The guests of Easy Rooms can use the facilities of the Dell’Angelo Hotel. 뀐 Located in the top-rated area in Locarno, this property has an excellent location score of 8.8! When would you like to stay at EasyRooms dell'Angelo? This room is equipped with a washbasin, a hairdryer and a TV with satellite channels. Public parking is available at a location nearby (reservation is not needed) and costs CHF 9 per day. This room is equipped with private bathroom including a hairdryer and a TV with satellite channels. House Rules EasyRooms dell'Angelo takes special requests – add in the next step! EasyRooms dell&#39;Angelo accepts these cards and reserves the right to temporarily hold an amount prior to arrival. EasyRooms dell'Angelo accepts these cards and reserves the right to temporarily hold an amount prior to arrival. Please inform us if your planned arrival time is after 18:00. Not a big problem at all, but for the "windowless room" the bathroom and shower are on a different level, and obviously it gets stuffy in a windowless room. However, given the great price and the fact that they tell you the room has no windows, all this seems pretty reasonable. Great location at a great price. Scent of cleaning agent in the hallway, but the room was fine so not really a big problem. The price was as much as i was willing to pay. I was not willing to pay another euro for anything better. It was not till I got on the car that I was informed by my GPS that i'd not find parking... that became reality when I got there. I had to pay another 9 € for a 24 hrs parking card that the hotel sold me, I was there for 6hrs only., plus I had to walk 300m back to The hotel through a dark tunnel. The reception smelt of cat sand and the room was so small. The "lady" in the reception half no manners . feel like home not hotel.. Comfort, staff, breakfast, everything was great. the staff at the check in was not so friendly. Staff too busy with computer behind the reception desk. Customer should be in focus and not the screen. The bathroom outside the room. The exceptional location. The cleanliness of the place. The large balcony.